As not all heroes wear capes, not all heroes are perfect, but they don’t always have to be. In the grueling world of combat sports and as is the case with every sport at the highest professional level, the magnitude of each and every setting gets magnified to the broadest possible audience with the more and more success that is gained. Because of this, it just creates for new and different types of tests with each new step that is taken. Along the journey, athletes will be required to learn and grow from uncomfortable situations. Avoidable mistakes are going to end up happening and more often than not they’re going to end up having been necessities for a greater outcome. Without adversity, there is no reason to grow and adapt, there will be no sense of direction that is found. 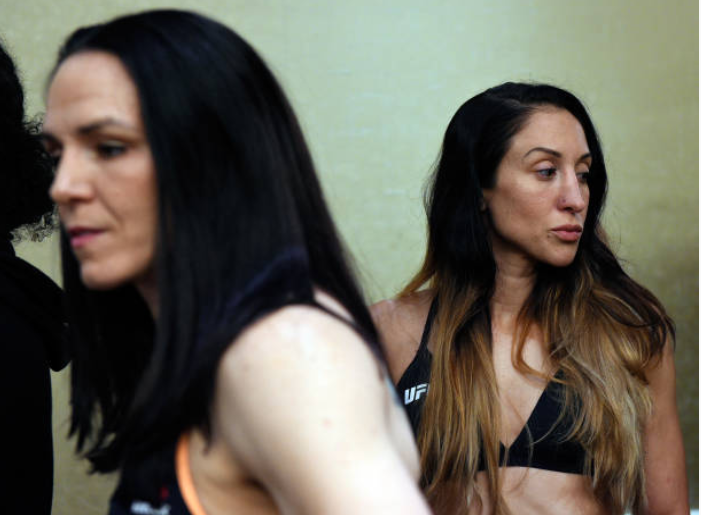 For 13-year MMA veteran and UFC strawweight Jessica Penne, it took her roughly 12 of those years until she finally found herself. But who’s counting? After a quick examining of Penne’s 17-fight record, it can quickly be seen that she’s not one to sit on the shelf for long periods of time… If she has anything to say about it that is. Up until 2018, 2011 had been the only year of her career where she hadn’t competed in a mixed martial arts bout. But even in that year, she took her skills to the shoot-boxing world. 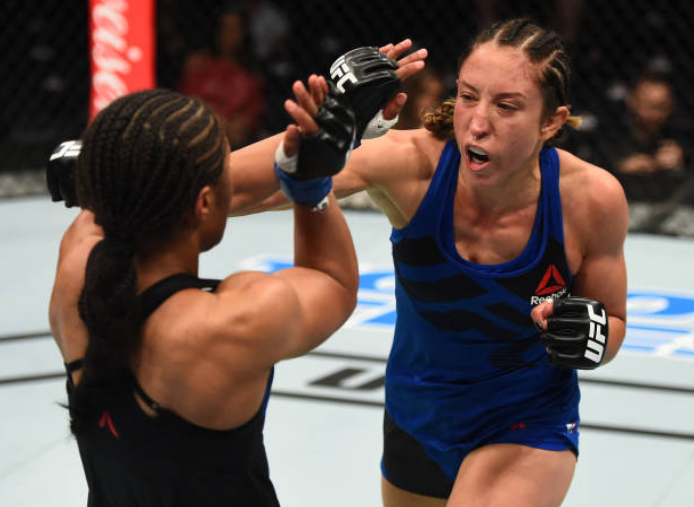 Despite the unplanned nearly two-year layoff that Penne currently prepares to end come this Sunday at UFC Phoenix, it ended up being one of the best things to have happened to her. Being forced to leave one’s comfort zone can sometimes be the best thing to avoid complacency. When options are limited, it becomes a matter of adapt and overcome. Having been stuck in MMA limbo, Penne found herself having to do just that. “It was something that I had to learn to grow from,” Penne explained. “That was my only option. Again, a year and a half suspension for taking a supplement that’s over the counter. It’s completely on me though. I always check the drug list, but I didn’t check the supplement list and that was my learning lesson. But there’s always a positive that can come from something like that. And that is that my teammates are very diligent about checking their list, and I kind of started a journey of self-discovery, to be honest. When one obstacle or roadblock is presented, it can often time lead to the searching of how did it get there in the first place. The root of the matter can then, in turn, be revealed as a much deeper derived issue. As much as no one likes to admit when they have a problem, acceptance of the issue is what helps get to that grand end goal that follows the overcoming and uprooting of the cause. Of course, that never makes it an easy task to tackle. Especially when the bright lights are on and spotlighting each and every little detail. “Going all the way back to The Ultimate Fighter [season 20]…” Penne started. “I mean, it’s always been there, but I started having really gnarly panic attacks on the show and people looked at me and just thought I was being dramatic and they didn’t understand it. I didn’t understand it and I continued to compete and train through it not knowing what was going on with me. And that was that I have severe depression and anxiety, and it would come out in the form of panic attacks when I was training. So through The Ultimate Fighter, I was suffering with this in silence because I was very embarrassed. “Fighters are supposed to stay strong all the time, you know? You’re not supposed to show weakness, especially on a reality TV competition show. So after that, it got worse and for The Ultimate Fighter finale, for my title fight, and for the fight after that, again, my mental state and the way I was, I was having panic attacks every time I trained. I was definitely not in the right state of mind to be fighting or taking those fights. The mental hurdles that come with every sport are sometimes easiest to overlook but are actually the most difficult to get over. Because rather than being sport specific as the physical aspects are, they expand to the entirety of one’s everyday life. Although the quote is often looked at negatively, the positives can definitely be pulled out of it as evidenced by potential outcomes. 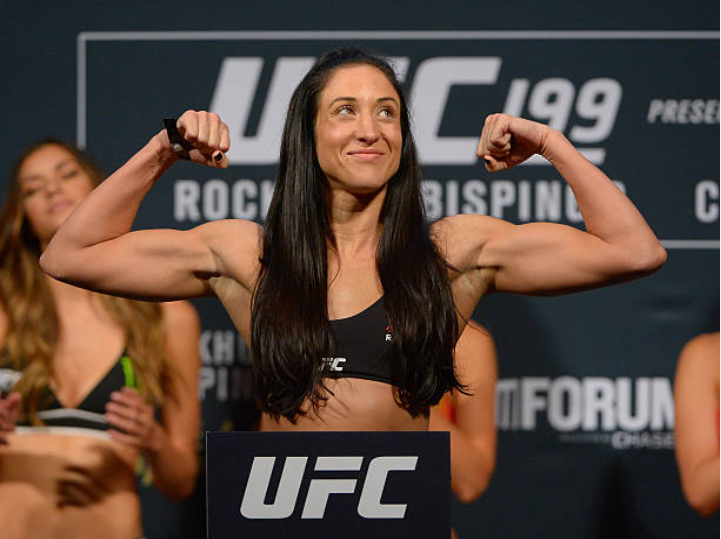 For Jessica Penne, having gone through a tougher situation than she possibly could have by being on The Ultimate Fighter to enter the UFC, the difficulty of the situation was beneficial in the end. Finding the sense of clarity needed to overcome personal struggles isn’t an easy thing to do alone and sometimes it just might not seem possible. Especially with something like anxiety and or depression, the fear of seeking the proper help could just act as another trigger for the issue. With MMA being the individual sport that it is, teams are still surrounding the individuals to offer proper support and building of their skills. However, true colors get revealed when exposing oneself in such manners day in and day out to the degree that unbreakable bonds are created. So much so that a fighter’s basic ‘team’ can end up turning into a family. “They’re all assholes,” Penne jokingly said with a laugh of her team at Alliance MMA. “I made the move to Alliance… God, I’m terrible with time. I would say it’s only been a year, but I think it’s probably been like three, I don’t know, I think it’s been like three years. Without that support system helping the fighter get to the dance, they wouldn’t be able to perform to the best of their abilities. And like families, that’s what they’re there for; the ultimate love and support. Without that, who knows where it could leave someone. Despite all of Jessica Penne’s doubts and struggles integrating into a new home, it came down to that reaching out and help-seeking that put the loyalty to the test. “My coach Eric [Del Fierro] sent me to a psychiatrist and I was diagnosed with an anxiety disorder and depression,” Penne shared. “I’ve finally realized that nothing’s wrong with me. It wasn’t like me being weak or being this or being that. It was actually that I have chemical imbalances and that gave me a lot of relief and I’m finally to the point where I don’t have shame about it. “I can talk about it openly and I’m better for it. And I also started a journey of EQ (Emotional Intelligence) and that has really given me the tools to deal with everything and face everything without shame. As tough as it may have been to get to this point through an endeavor like fighting, Penne wouldn’t change it for the world. The 36-year old veteran is truly a pioneer for the female athletes, especially in the lighter weight classes of strawweight as well as atomweight where she formerly held a title with Invicta FC. And even though it’s been a long 13-year road, the Newport Beach, California native wouldn’t quite know it. “But the great thing is I got a very late start in mixed martial arts, I didn’t start until I was 23. So I feel like because of that, I’m still learning and growing because I didn’t have any kind of combat sports background at all. I just found myself in it. And then went full on. Having had the success that Jessica Penne has had throughout her career considering her struggles makes it all the more impressive. As well as making the falterings all the more understandable. Currently riding a three-fight losing streak, she’s just happy to be healthy, able to compete again and isn’t attached to anything that the results may read. After making the discoveries in herself, Penne still had some crucial learning to do as she had to put her new self through her first test in her most recent time out. “It is what it is,” Penne said of her close decision loss to Danielle Taylor. “Everybody’s been on that side of a bad decision. It happens, it’s part of the game. “Going into that fight, I honestly, again it was like just after I had discovered what was starting to go on with me and understanding everything. So going into that fight, I didn’t know if I could trust myself. And that was so scary because I had been shutting down in my fights, I’ve been having panic attacks in training… I just didn’t know if I could trust my body going into that fight and during that fight I kept waiting for it to happen and that gave me a lot of apprehension. With everything starting to swing into gear and new stones being turned, it was time for Penne 2.0 to really get going. That was until the suspension from USADA made itself present. Completely accepting of her mistake, the upcoming layoff was met with mixed reactions from the former champion but for the most part, it was just about looking at and remaining positive about what had been achieved. “Afterward I was so excited because I was healthy,” Penne said of how she felt after the fight. “I knew I was healthy enough to compete again. Before that, I just dreaded training because every time I trained I’d have a panic attack. So going into that fight I was actually able to spar a little bit. I was able to have just a better mindset and after that fight, I was extremely motivated because I felt like I was starting to feel like my old self and then I was devastated, especially because I had no intention of cheating. With the past being the past, it’s time for the future. 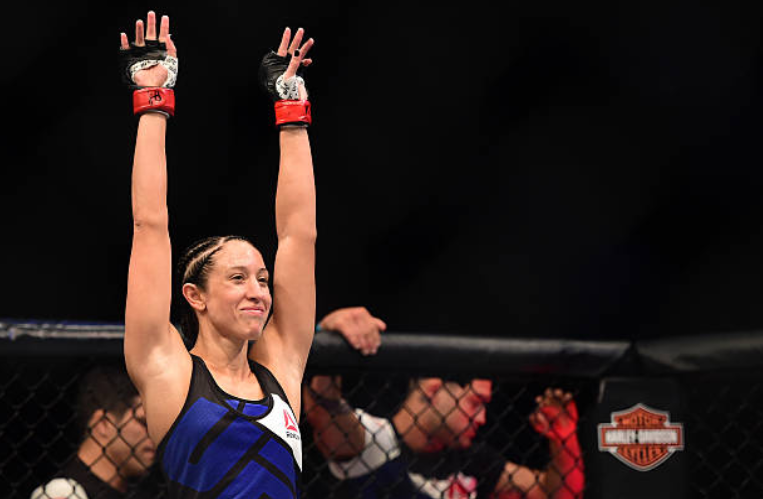 Revitalized and refocused, Jessica Penne makes her return to action at UFC Phoenix on February 17 when she takes on a fellow former Invicta vet in Jodie Esquibel. Even with the slight familiarity that they have from having fought on cards together in the past, Penne isn’t too concerned about specifics. That is except for when it comes to the size of Esquibel. 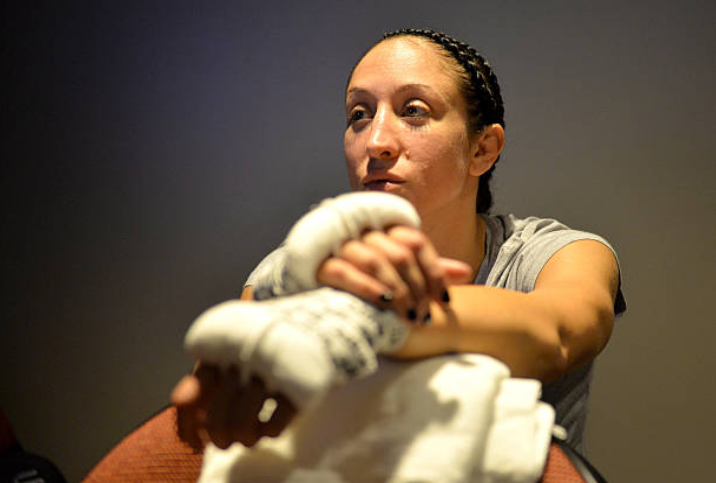 “I’m happy that I get to fight a former atomweight, ” Penne said. “I’ve been fighting former bantamweights and flyweights, I’m stoked to fight an atomweight and I really hope that one day in the near future we can have an atomweight division in the UFC. As 2018 came to a close, the talks of Penne’s former division coming to the UFC heated up a bit but nothing has become any more certain in the recent months. Regardless, as she does with aspects of life in general, Penne remains positive and hopeful for the addition of the 105-pounders and is confident that she can still prove that the division belongs to her. As much of a life-consuming sport that fighting can be as it has no offseason, it makes finding ways to release the regular stress of training and competing a different challenge entirely. However, there are many varying avenues that can be explored within the realm of the MMA world that don’t require that physical exertion. During the time off, Penne has kept herself busy with her good friend and teammate, fellow UFC strawweight, Angela Hill, as the two started their own breakdown series called 2Straws. “I’ve always been interested in analyst work,” Penne said. “My major in college was actually communications and I always wanted to get into broadcasting but I didn’t know what my angle would be. The body is the vehicle, the mind the captain. Without a clear and controlled mind, the uphill battle will only get steeper and steeper. Sometimes it can be the most unexpected of negatives that equal the greatest of positives. And whether it’s made public or not initially, once the spotlight is on and it’s time to shine, even the least likely of heroes may need to find themselves before they can reach their fullest potential. Is this generation of sports stars the ‘loneliest’ ever?